Central Maine Community College (CMCC) is offering a special “delayed-start” fall term with nine classes beginning September 25 and ending December 16. This special fall term is advantageous for students who are unable to complete their admission application by the start of the regular semester. Parents who want to get their children settled in school before starting classes may also find this schedule to be more convenient. Seven of the classes will meet twice a week on campus and two will be online. The following courses are offered during this special 12-week term: Introduction to Computer Applications; Understanding Business; Public Speaking; Intermediate Algebra; U.S. History to 1877; Introduction to Psychology; Introduction to Sociology (online); and College Writing (online or on campus). Students at CMCC enjoy very affordable tuition, financial aid, advising, learning assistance, and a variety of student services and activities. The College offers over 41 degrees, certificates and advanced certificates in programs such as business administration, computer technology, criminal justice, medical assisting, precision machining, and general studies. Anyone interested in more information about this special fall semester option is encouraged to contact the Office of Admissions at (207)755-5273 or enroll@cmcc.edu. 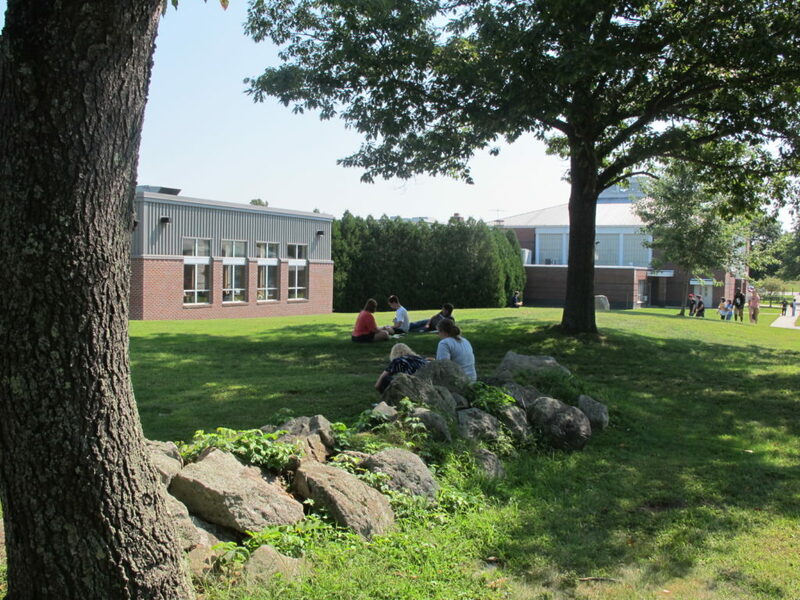 Photo Caption: Students relaxing on the campus of Central Maine Community College. The college is offering a “delayed-start” fall term with classes starting September 25.